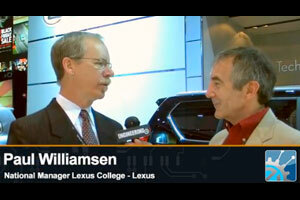 Lexus national manager of global training, Paul Williamsen was interviewed by Engineering TV on the technology behind the Lexus Hybrid Drive engines. Thomas . : Interesting. The previous gen GS 450h didnt use the atkinson-cycle engine, or did it?